Ireland-based Eaton, a leading power management company, has announced production of the 100,000th Eaton Xiria panel, an important milestone for a leading SF6-free medium voltage switching device, used by customers in over 30 countries. 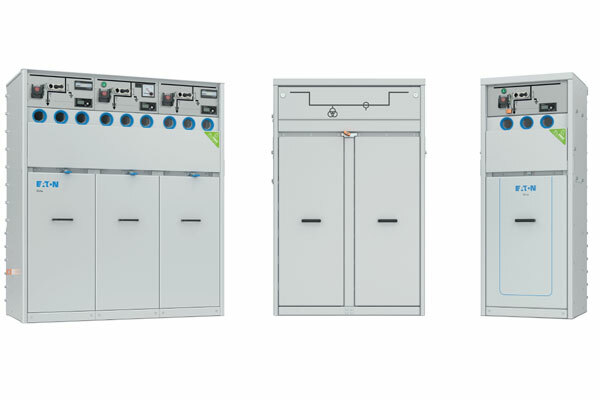 Eaton has been providing medium voltage switchgear that is 100 per cent free of SF6 gas for many years. While SF6 is a good insulator, it is also the worst of the global warming gases, 26,000 times worse than CO2. This is why it is banned for most uses in Europe, said a statement from the company. Eaton’s design switches in vacuum and uses solid insulation to ensure a safe, reliable, and sustainable product. The electrical industry overall is now rolling out green switching alternatives to SF6 gas as the European Commission starts a wide-ranging review that could result in a decision to ban SF6 gases from MV switchgear by 2020, it said. Eaton’s Xiria panels are used to control and protect electrical equipment operated by utilities, commercial building owners and operators of distributed renewable generation assets such as solar farms and wind turbines, it added. Xiria is especially valued for its small footprint and because it requires minimal maintenance leading to low operation costs. “To secure the local distribution network and business needs, implementation of Eaton’s Xiria is recommended,” he said. “If a short circuit occurs, or a generator crashes, Eaton’s Xiria will immediately cut off the energy supply safely and securely,” he added. The Xiria can switch over 10,000 operations, thus ensuring the system is particularly suitable for applications where the switch has to be turned several times a day, as applies with renewable energy from wind and solar parks. The Kyoto Protocol in 2007 identified SF6 as one of the most severe greenhouse gases, and subsequently, the EU banned SF6 gas for most industries and applications, such as in manufacturing of sports shoes and tennis balls. A loophole was granted for high and medium voltage switchgear in 2014, but it is possible that by 2020 the European Commission will impose a complete ban on the use of SF6 gas. Recently, the Eaton Xiria range expanded considerably, this enabled more flexibility and has resulted in the product being even more versatile.